Welcome, Lynne. I am a farmer/writer living in Ontario. I write contemporary romance. My second novel, Love's Promises debuted this month. I launched my revamped website this week - www.deboraharmstrong.ca. I can be found on FB, twitter @debdee99. I have two cats, 3 kids and 1 husband and numerous cows. Most of my houseplants are fake. I prefer fresh cut flowers. I don't watch Castle, although I do adore Nathan Fillion. I am a big fan of Firefly. My heroine is a big fan of Ryan Reynolds. We like to keep it Canadian. Hello! Sorry it took me so long to reply. I am an editor, author, crazed blogger and tweeter, who presently resides in Surrey, BC but would love to move at anytime back to Ontario, Canada. I have been writing most of my life but finally got to realize the dream a few years ago when I connected with MuseItUp Publishing as an editor. From then on everything has changed in my life, including my typing speed. LOL. You can find out more about me on my website www.vlmurray.ca my author/reviewer blog www.natterandreview.wordpress.com and watch me whistle a happy tune on twitter @vlynnemurray . I have one short story published through Muse entitled A Hallowe'en Tale and am working on a series of short stories, a few fiction and non-fiction books and a collection of poetry. I am also a composer. For fun I play with dogs, cats and the odd houseplant. Oh yes, I love the TV show Castle. Just read your posting today Eileen. Your paragraph which includes the mention of Ivor Novello is sitting just above the comment box. I remember all of his songs. his music was still around in the early forties when I was born in England. How interesting about your work with the Mary Pickford premise. I think her story is worth telling. Good luck with it. I will give closer attention to your piece later today. Your touchstone places are similar to mine. Toronto welcomed me and sheltered me in surprising ways during my years there. It is only recently that I discovered my paternal Grandmother was born there. In the Queen Street neighborhood. 1879. She had two other younger siblings, and all three children were orphaned at Five, Four and three years old. Settling in the prairies when we first came to Canada in 1967 was a phenomenal experience after coming from Devonshire and Cornwall. I was exposed to the basic elements of this planet, sky and earth. it was very moving and terrifying. My dream would be to live in California. My choice would be along the coast road somewhere remote, with the endless ocean to look out on. I make do with New York, London, Italy and a few other places in the meantime. The best in all you do. Terrific to read your intro message, Julia. Welcome to the group! I've visited your blog and left a comment. You have quite a lot of interesting and useful info for writers there. I will return when I have time. Diane, thanks for your welcoming email. So, here goes -- a bit of an intro. My name is Julija Šukys (I go by "Julia" or "Yuliya"). The name is Lithuanian, but I'm Canadian by birth and probably character. Born and raised in Toronto, I have been living in Montreal for 6 years. I'm currently on the island of Gozo in Malta, with my husband and son. We're taking a sabbatical. Both my husband and I are working on our respective books while we live in this rambling limestone house by the sea. We return home to la belle province in May. I write creative nonfiction: mostly essays and biographies. 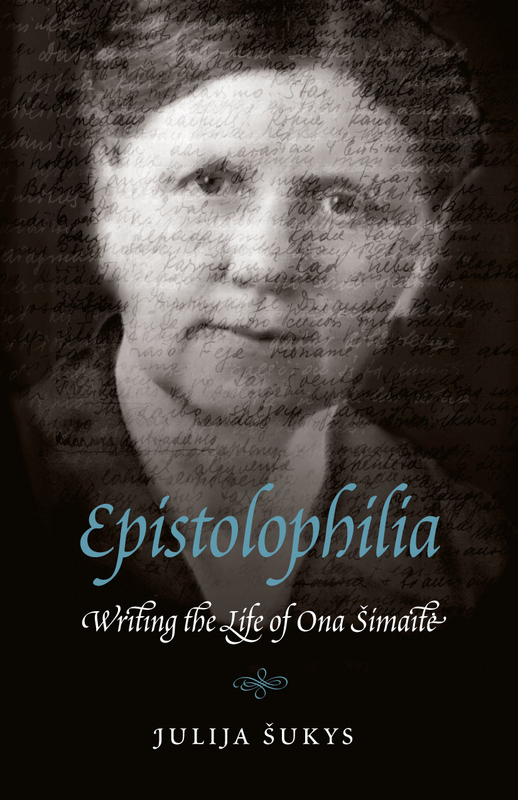 My second book, Epistolophilia: Writing the Life of Ona Šimaitė, just came out. I have published most of my stuff in the US, simply because that's where I found a supportive press (U of Nebraska Press) and editor for my books, and it's where my essays have found homes in journals. With my second book (Epistolophilia) I'm trying to make inroads into Canada -- my press distributes north of the border, and we're making a concerted effort to get some attention this time around. My work largely uses the material traces of individual lives as a source. I'm currently using the letters my grandmother sent her children from Siberia (where spent 17 years alone in exile) to write a new book (#3). I started blogging regularly almost two years ago, and found that I really enjoyed the form. Often I cross-post on SheWrites. My blog "Writing. Life." can be found at http://julijasukys.com. I look forward to getting to know other Canadian SheWriters! Welcome. Mollie. I live just north of Toronto. Hi Mollie and welcome to the group! I think you'd best paste the URL for your FB page here for us. I searched "Write from the Heart" and about 10 different groups came up! I live south of Ottawa deep in the country halfway between Kemptville and Prescott. I edited a magazine called "Country Roots" for six years. Now I have another newsletter/magazine which a friend and I created for nursing homes, hospice and seniors' residences. We call it "s.m.i.l.e." which stands for the contents : short stories, memorable poetry, interesting articles, light humour and entertaining puzzles. Fellow writers have been generous in sending us contributions for nothing more than copies and the joy of knowing their efforts give pleasure to the residents and patients. We do not charge for the magazine. I make a pdf copy and send it by e-mail so that the institutions may make as many copies as they wish. Hearing from the readers is a big reward for us. Please check either spot out. I need readers and look forward to your comments. I'm glad to be included in this group. Sherrie, Dianne--my but Canadian writers are far-flung and living exotic lives! Dianne, your salerno apartment sounds like the most fabulous writing retreat. I expect you could have a lot of future visits from Canadians escaping the snow for sun and sea views in your southern Italiano paradiso, eh?